Love it or hate it, the world of experiential isn't going to fight Valentine's Day. Check out these pop-up activities if you're after something more than a bottle of house Pinot Grigio and pizza on 14 February. Meredith Bespoke, the agency behind luxury Christmas pop-up Nordic Yulefest, is back for Valentine’s Day with a 500-capacity playful pop-up in the heart of Bloomsbury. 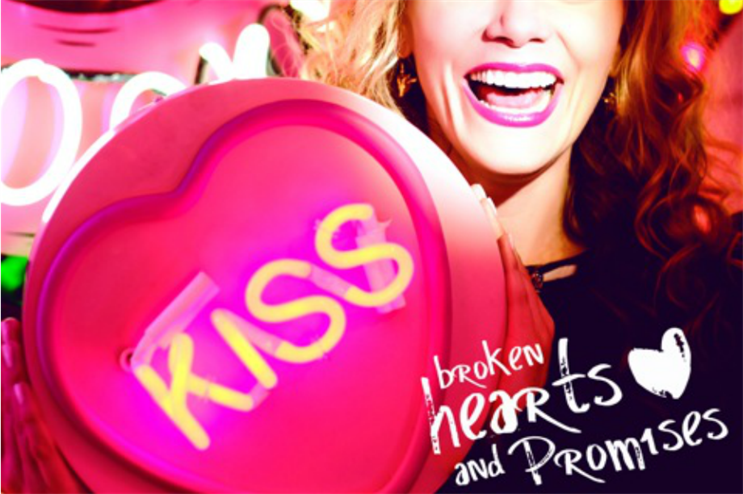 Targeting groups of friends, singles and couples, Broken Hearts & Promises will feature five themed areas including a kissing booth sponsored by designer Lulu Guinness, a ‘love confessions wall’, the Lanique Rose Liqueur Lounge and a cinema, which will play Quentin Tarantino’s cult film True Romance. Meredith O’Shaughnessy, founder of Meredith Bespoke, said: "It can be so hard to find something fun to do on Valentine’s. We’ve curated Broken Hearts & Promises for people who are done with dull card and flower combos and are looking for a delightfully different alternative this February." London stalwart Madame Tussauds is transforming into a romantic pop-up restaurant, where guests can enjoy a three-course meal surrounded by the museum’s world-famous waxworks. Partners will be greeted with a cocktail and canapés on entry to the reception, before heading to the Victorian-inspired World Stage ballroom for dinner. The full menu and entertainment line-up will be announced in the coming weeks. 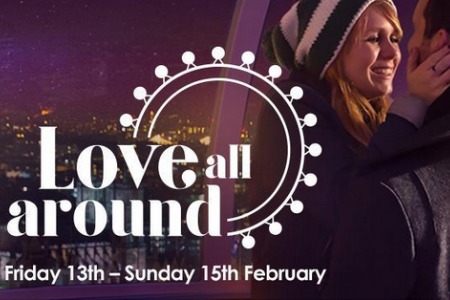 The new sponsor of the London Eye is set on winning the hearts and minds of its critics by putting on a whopping four Valentine’s Day experiences. The Valentine’s Champagne Experience has been designed as an event to begin or round off a couple’s romantic day or night, with a glass or two of Pommery Brut Royal Champagne available to sip while enjoying a box of Hotel Chocolat treats. The Valentine’s Cupid Capsule will let partners charter a pod for themselves, with a host to serve the chocolates and champagne. On the river, guests can enjoy a three-course meal, wine and entertainment on the London Eye Barracuda with the Dinner Cruise package, or cruise down Thames listening to romantic music, live commentary and bubbly for the 40-minute champagne cruise. For one night only, The Deck at the National Theatre, London, will host a pop-up dining experience. Executive chef Simon Flint and his team have created a four-course menu especially for the occasion, featuring a smoked salmon starter with soused cucumber and fennel salad, soured cream and vermouth and balsamic pearls, a trio of beef for main course, a raspberry and dark chocolate dome for dessert and a cheese board. A vegetarian menu will also be available. Fleur Burrow-Jones, hospitality events sales and marketing manager at the venue, said: "Following the popularity of our previous sell out pop-up restaurant experiences, we wanted to create a perfect Valentine’s dinner for London lovers looking for an exclusive night to remember. We are often told that the best way to someone’s heart is through their stomach so we wanted to create a delicious hearty menu for couples to enjoy in our unique setting with the perfect romantic backdrop." Avoiding the 14 February schmaltz, dating website Doing Something is inviting 250 adventurous singles to play a round of crazy golf at pop-up Shoreditch club Swingers on 10 February. Golfers will be able to crab a drink from one of two 1920s clubhouses and munch on snacks from Pizza Pilgrims and Patty and Bun before taking to the dancefloor until 1am. Matt Jones, Doing Something’s founder, said: "People have been emailing us to do another Swingers night since November’s sell-out party and this time we’ve elected to gently poke fun at Valentine’s Day. Rather than play the whole course with one partner, people will swap partners on the fifth hole. And expect an up-tempo Anti-Valentine’s soundtrack on the night."